So you're looking for a residential Furnace, yes? Congratulations on landing at the right web page. It's Clean Air Heating and Cooling Services Inc. and we're among Toronto's leading companies that provide world class residential heating and cooling services. With special reference to our Furnace services, we are honoured to have made thousands of customers, happy customers, installing hundreds of Furnaces throughout Toronto and GTA, making home capable of providing super warm air in the Winters with an improved indoor residential experience. Appliance maintenance in a one-liner is basically a check-up to make sure your appliance is working properly. But maintenance could be a hectic task for you if you've got busy routines or just are too cautious to not damage your Furnace in an attempt of saving it from possible damages. While maintenance and tune-up include risks too, it is always sane to seek professional help in order to make sure an efficient maintenance is made and no harm occurs to the system. Since we know how busy the days and nights today are and how difficult it is to take time out for things when it is already hard to make time for humans, we've decided to make things easy for you. At Clean Air Heating and Cooling services, we're offering Furnace maintenance services throughout Toronto. We do maintenance for you so that you can utilise your time elsewhere. Although the maintenance services are for our existing as well as non-existing customers, we've and exclusive Protection Plan designed in order to help you save on maintenance and repair. Hundreds of homeowners have converted their Furnaces from oil to gas in the recent years owing to the decreased prices of gas. Some people also choose gas over oil since it works more efficient. However, there are places where there is either no availability of gas or it's hard to run Furnace on gas due to low pressure. Such homeowners have to have their Furnaces on oil. 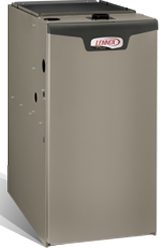 The oil to gas or gas to oil conversion requires professional help, we, therefore, are providing professional services of Furnace conversions from oil to gas and gas to oil at reasonable prices. 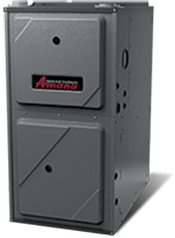 The Furnace includes standard installation for existing wiring, ducting/venting. Electrical renovations or permits extra if required. DISCLAIMER: CLEAN AIR HEATNG AND COOLING is committed to respecting the privacy of individuals and recognizes a need for the appropriate management and protection of any personal information that you agree to provide to us. We will not share your information with any third party outside of our organization, other than as necessary to fulfill your request. Copyright © 2018 Clean Air Heating & Cooling Inc. All rights reserved.